The judge's order marked a victory for wildlife advocates and Native American tribes that sued over the U.S. Fish and Wildlife Service’s decision in 2017 to lift federal protections for 700 grizzly bears in and around Yellowstone National Park. MISSOULA, Mont. 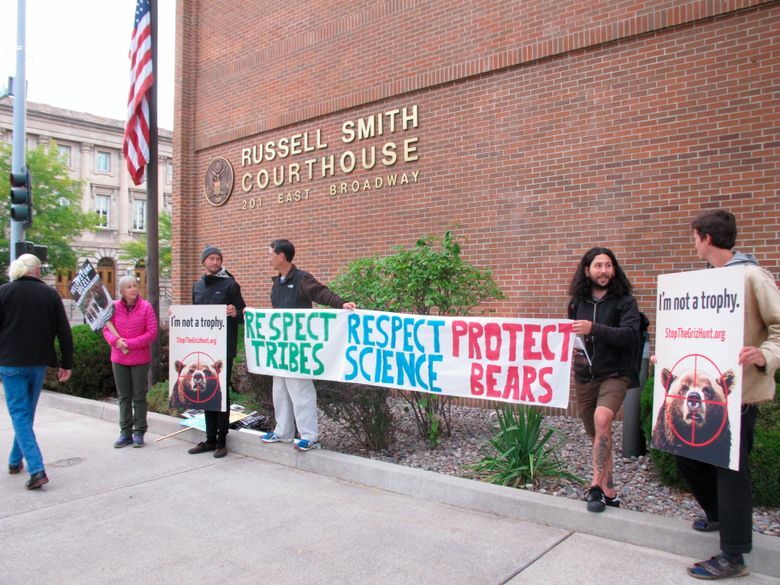 (AP) — A federal judge on Thursday temporarily blocked the opening of the first public grizzly bear hunts in Wyoming and Idaho in more than 40 years, as he considers whether the government was wrong to lift federal protections on the animals. U.S. District Judge Dana Christensen’s order came just two days before the states prepared to open their grizzly bear hunting seasons on Saturday. It will remain in effect 14 days. This version corrects that Montana’s last grizzly hunt was in 1991.